Tasnim – A prominent expert on Middle East affairs based in Moscow highlighted the reasons behind recent developments around Lebanese Prime Minister Saad Hariri’s resignation and said Iran and the Hezbollah resistance movement are the main targets of “the ongoing strategic game”. “The target of the ongoing strategic game is not Hariri now; it is Hezbollah’s influence and the Iranian presence in the region and all the Lebanese having close contacts with them,” Maria Dubovikova said in an interview with the Tasnim News Agency. Dubovikova is an outstanding political commentator and an independent researcher. She is the president of the Moscow-based International Middle Eastern Studies Club (IMESClub). She also writes for various media outlets around the world, including Al Arabiya English and Arab News. Dubovikova: We are witnessing a severe rift between Saudi Arabia and Iran these days. The situation in Syria is developing not in the way desired by Riyadh. Iran is strengthening its positions in the Levant, that is considered as a threat to the national interests of the Kingdom and other (P)GCC states. Direct confrontation is not what is desired, as it will be clearly a zero-sum game, so the way that was chosen to counter “the notorious Iranian threat” is proxy wars and media offensive against Iran that is sometimes picked up by the Western media and politicians, thus serving the purpose of Tehran’s isolation and complicating of its work with the international counterparts. Lebanon is used as a card in the same game against Iran, as untwisting the situation around Hariri, with his television resignation, statements and interview from Riyadh, they are trying to push the Lebanese society, create a kind of a social anger wave to force Iran-backed Hezbollah to leave the country. However as it is clear now, they have miscalculated, as it seems that the Lebanese are unhappy with such kind of foreign intervention in their home affairs and that they are more eager to believe in what the general public got used to call “conspiracy theories” than to what is officially declared. The call to come back from Lebanon and not to travel there, coming from some (P)GCC states, is at some extent also an element of this strategy, serving to create a kind of psychological pressure on the Lebanese society, who clearly prefer having a weak peace, than a new war. Plus it is somehow an economic leverage, as the country is gaining enough income to its treasury from the (P)GCC tourists coming to Lebanon. Tasnim: As you know, Lebanon’s former Prime Minister Saad Hariri, postponed handing in his resignation Wednesday upon the request of President Michel Aoun. Hariri had announced his resignation in a televised statement from Riyadh on November 4, citing many reasons, including the security situation in Lebanon. He also said he sensed a plot being hatched against his life. Hariri blamed interference in Lebanon by Iran and Hezbollah Resistance Movement for his decision to quit, an allegation the two have repeatedly denied. What is your assessment of the developments? Do not you think that the resignation was part a Saudi-Israeli plot to hit Iran and Hezbollah? Dubovikova: The situation around the Hariri resignation is posing more questions than giving answers. And as I said earlier Hariri’s resignation could be a part of proxy wars plans to counter Iranian presence in the region. And somehow this draws closer positions and interests of (P)GCC states and those of Israel, that is the main opponent of Iran, considering it as the direct threat to its existence and the main enemy. Israel is the main advocate of severe international measures to contain Iran. Regarding Hariri, it is interesting to point that he has three nationalities: Lebanese, Saudi, and French. As per French law, no one is allowed to have more than two nationalities including the French. As per Saudi law, it is not allowed to have any other nationality except a Saudi at all. Thus, Hariri’s status is somehow illegal in this context. He has been appointed in such a position to serve foreign agendas at the expense of domestic interests. His resignation from Riyadh can be interpreted as a result of external pressure and it is also a message that some regional players want to convey to Lebanese in general and Hezbollah and Iran in particular. Thus, any expected visit of Hariri whose family members are all staying in Riyadh with him is unlikely. The target of the ongoing strategic game is not Hariri now; it is Hezbollah’s influence and the Iranian presence in the region and all the Lebanese having close contacts with them. Tasnim: What do you think about reasons behind Hariri’s decision to postpone his resignation? Dubovikova: Somehow everything is looking quite strange but I prefer to avoid speculations regarding what is going on with Hariri in reality. We still have very little understanding, facts, and data. The time will reveal what is happening around Hariri and why. Far more important is that his resignation is harming the weak balance inside Lebanon, so the situation may deteriorate into a severe national crisis. 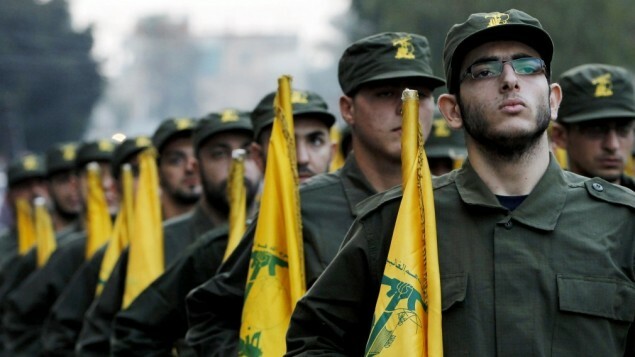 Furthermore, Israel, inspired with instability in Lebanon, may strike some strategic locations in Lebanon, as it is striking Hezbollah-linked locations and its weaponry storages in Syria. And this may have a dramatic consequence for Lebanon and the region in general.